Trying to be Good Samaritans cost two members of a Montana family their lives and left their daughter wounded. 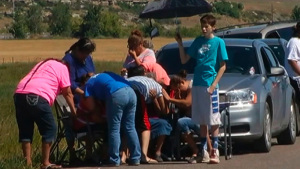 The triple shooting happened in the town of Pryor, Montana, about 30 miles south of Billings. The suspect, 18-year-old Jesus Deniz Mendoza, is expected in federal court Friday. The family was shot when they returned to help Mendoza, whose car was seen stopped along side a road on the Crow Indian Reservation on Wednesday morning, according to an FBI criminal complaint. The mother, father and daughter then returned to where Mendoza’s car was parked, the court document says. 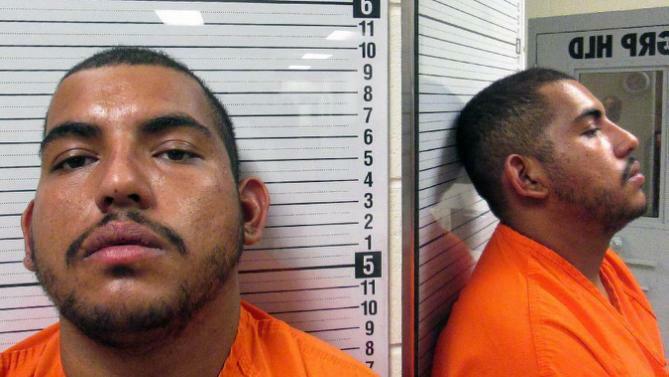 Mendoza pulled a gun on them and ordered them out of their car. He demanded money, but the family said it didn’t have any, according to the FBI. The daughter said Mendoza told them to start walking away from the car. She heard a gunshot and turned back to see her father lying on the road. The woman heard another gunshot and heard her mother scream. She was running and didn’t look back, the document says. As the daughter fled, she felt blood running down her face from a bullet wound. She then heard another gunshot and felt a bullet hit her in the back.